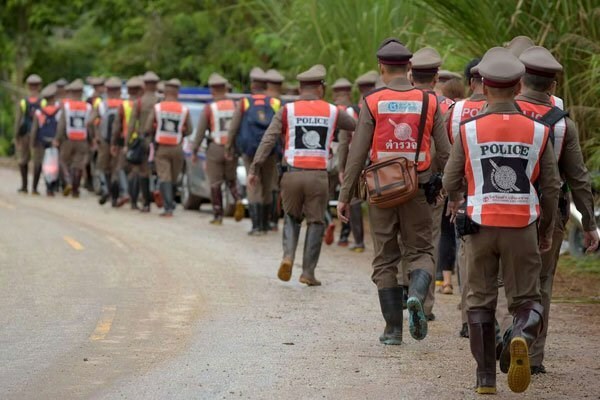 A treacherous rescue bid to free a youth football team trapped in a flooded Thai cave entered its second day Monday, with nine of the "Wild Boars" still inside after elite divers guided four out. Looming rain was one of the main enemies of the operation, threatening to flood the cave complex in mountainous northern Thailand, although a bewildering array of other dangers could also doom their safe return. Thailand has waited anxiously for news of the safe return of the boys and their 25-year-old coach since they became trapped in the Tham Luang cave complex on June 23, in a saga that has dominated global headlines. They spent nine days unaccounted for inside the cave, before British divers found the emaciated and dishevelled group huddling on a muddy bank.